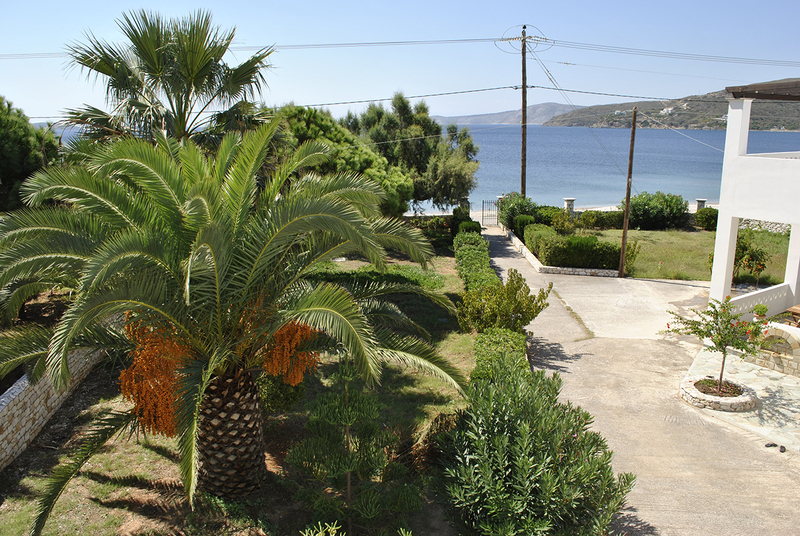 Our business is located on the beautiful beach of Kalamitsa and only 20 meters from the sea. 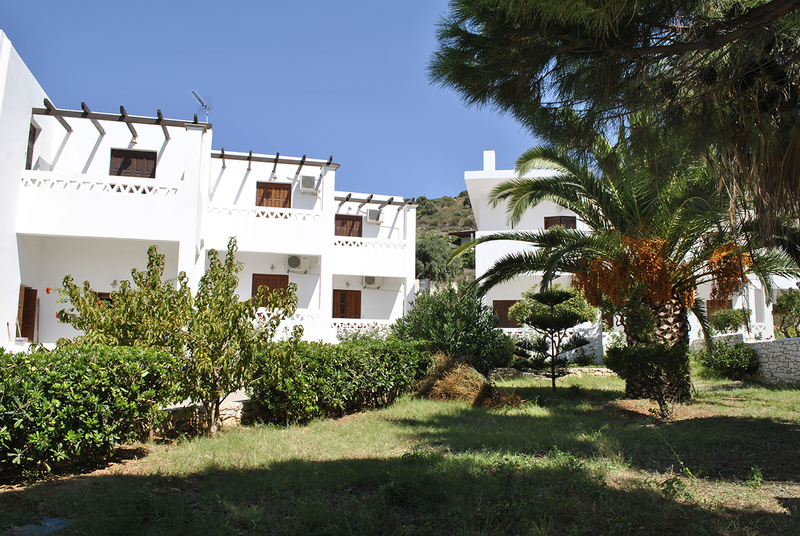 In a beautiful and green area, you will find 6 rooms overlooking the endless blue, being ideal for family holidays. 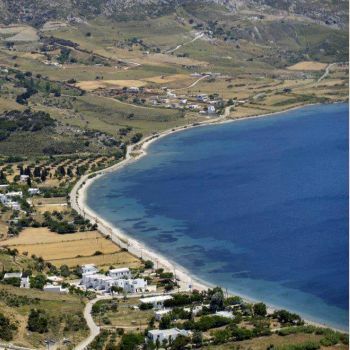 The seaside settlement of Kalamitsa is located in the southern part of Skyros, just 9 km from Chora and stretches along the picturesque bay. 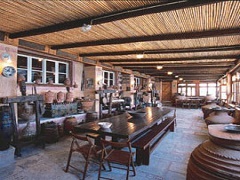 In the area there are several taverns and mini-market for our guests. The wonderful and long beach of Kalamitsa is an ideal destination for relaxation and is especially popular for water sports and especially for wind surfing. 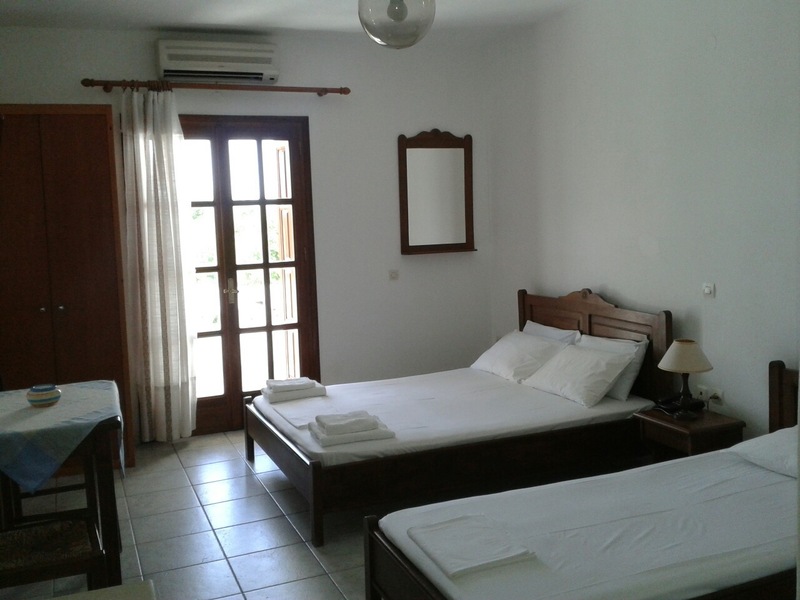 Every room is equipped with a double and a single bed although an extra bed can be placed. Every room consists of an individual fully equipped kitchen and refrigerator. Each room is equipped with one air-conditioning unit for setting the desired temperature in your room. 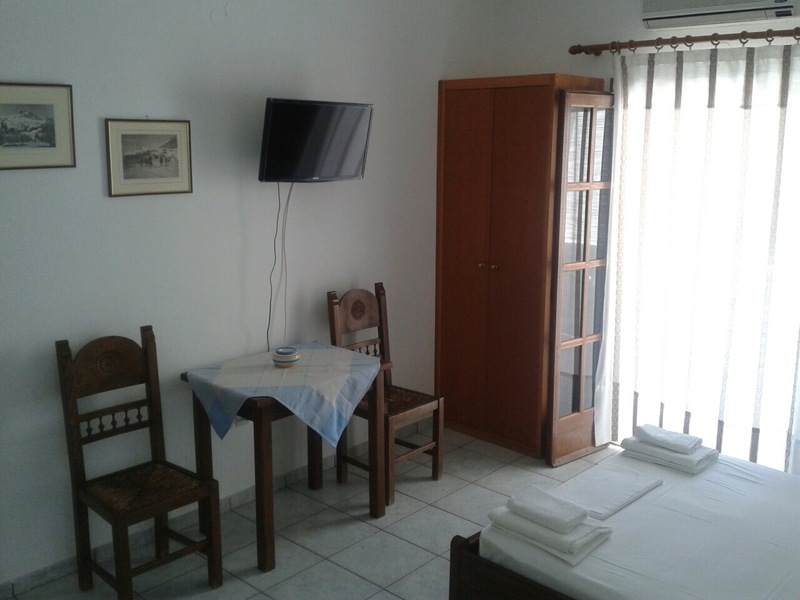 Each room is equipped with a LCD TV unit providing multiple greek and topical channels. 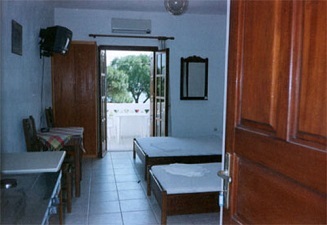 Each room has its own balcony with view to the sea and the garden. There is an outdoor barbecue available for all rooms. 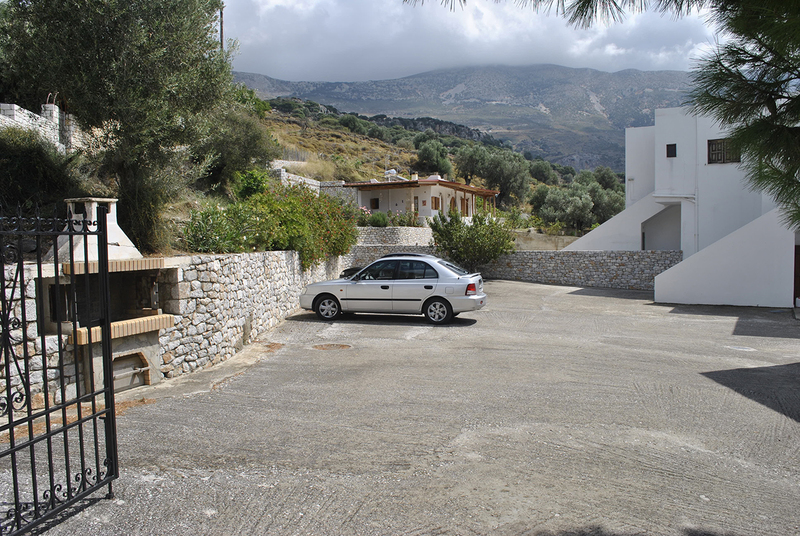 There is an ample outdoor parking for all rooms. Guest check-in time is 2:00p.m. If rooms are requested prior to check-in time, early arrivals will be accommodated, as rooms become available. Check-out time is 12:00a.m. 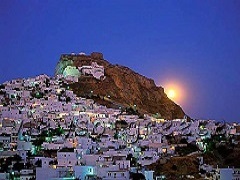 The capital town of Skyros is Chora ( Hora ), which is located on a hill underneath the dominant Byzantine castle, where in ancient times there has been the acropolis. 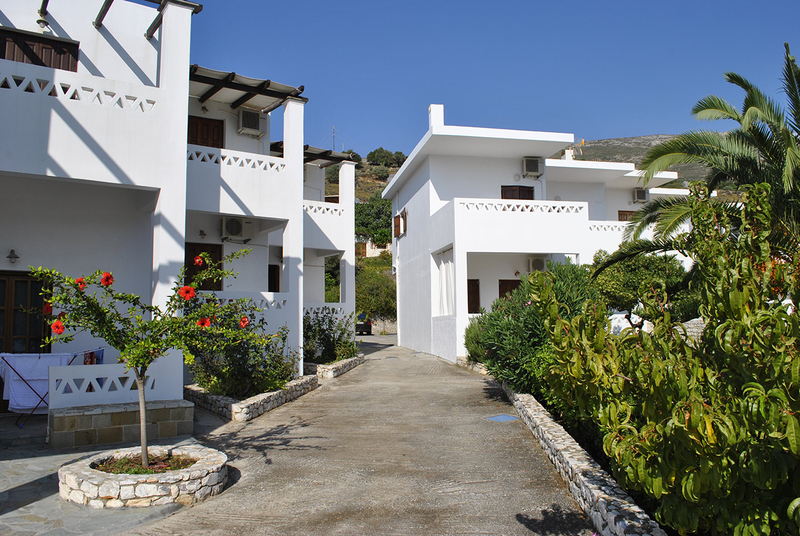 The bright white houses, with their flat roofs, are built amphitheatrically next to one another, creating a very picturesque and charming image, that welcomes visitors arriving at this beautiful part of Skyros. The town of Chora is full of winding, twisting streets that simply cry out to be explored. The town is crossed by the "Megali Strata", from which starts many smaller streets. During your tour through the streets of the country you will find countless small churches. Following the stone paths, you can wander around the town for hours, soaking up the traditional architecture, imagery and of course, the wonderful panoramic views that stretch out to the horizon. Chora lies in the northeastern part of the island and offers many options of entertainment. 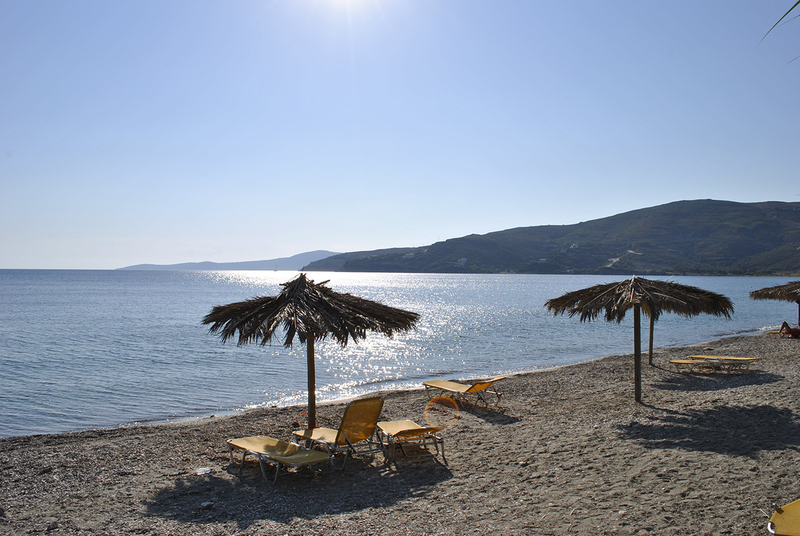 Skyros is highlighted by its beautiful beaches, at north and south part of the island with the last ones being accesible mostly by sea. 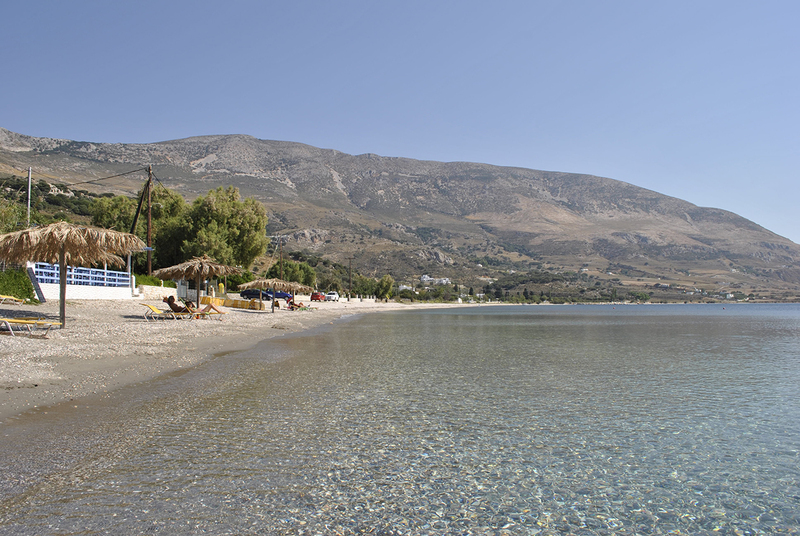 One of the most popular and organised beaches of the island is Molos. The Gyrismata beach in the northeast of the island has golden sand and crystal clear waters. 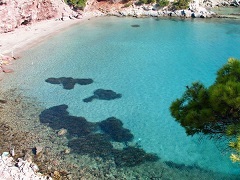 The beautiful beaches of Acherounes and Kira Panagia are worth to visit. 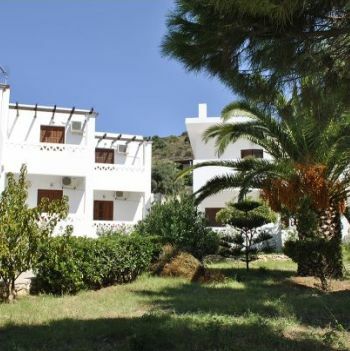 The beach of Agios Fokas refers to the Ionian Sea, surrounded by lush vegetation, with green crystal waters just below Pefkos, a picturesque beach in a small bay. 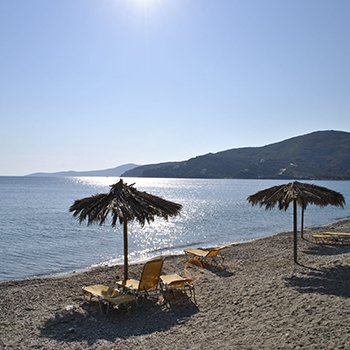 The beach of Kalamitsa is the island's largest beach and is suitable for water sports. 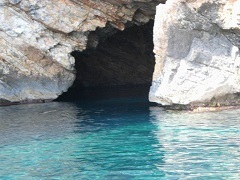 There are impressive caves on the eastern side of the island, among steep cliffs falling into the sea. Among the most famous are the Pentekali and Diatrypti, which attract visitors with their colors created by the walls of rocks, stalactites and the waters of their depths. The visit to these caves can only be done with low boat or with one of the boats ranging from Linaria and go round the island. The folklore museum was founded in 1964 by the Faltaits family and was housed in their old family mansion, whose roots are lost in Byzantium. The museum overlooks the North edge of the island, built on the biggest tower of the ancient Pelasgian walls of the island-the Paleopirgos. The location was once an ancient temple. The Museum is one of the most vibrant cultural institutions in Greece.It Also stands out for the combination of innovative and pioneering way that interacts with the younger audiances. Through volunteering it combines theory with practice. It includes items of traditional and contemporary folk art, a library and an art gallery. 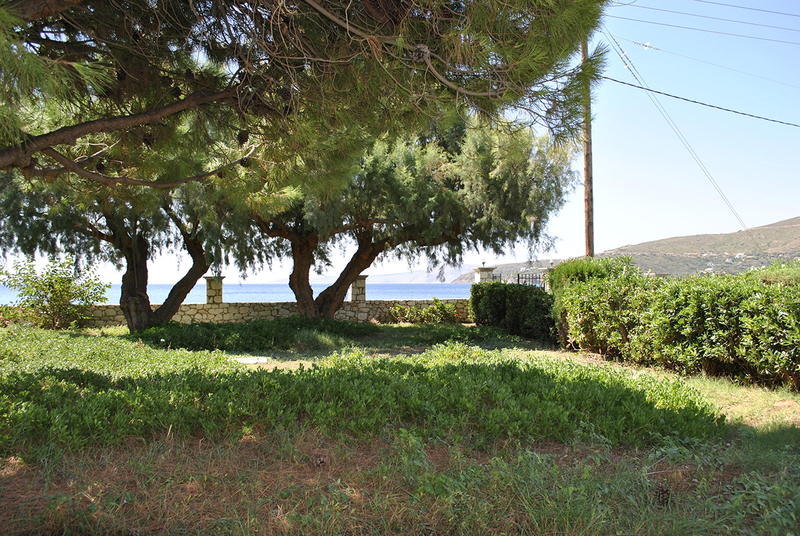 It was created to save the Skyros traditional heritage and to pass on the message that the Present and the Future should be attached to tradition. For more information visit museum' s site. 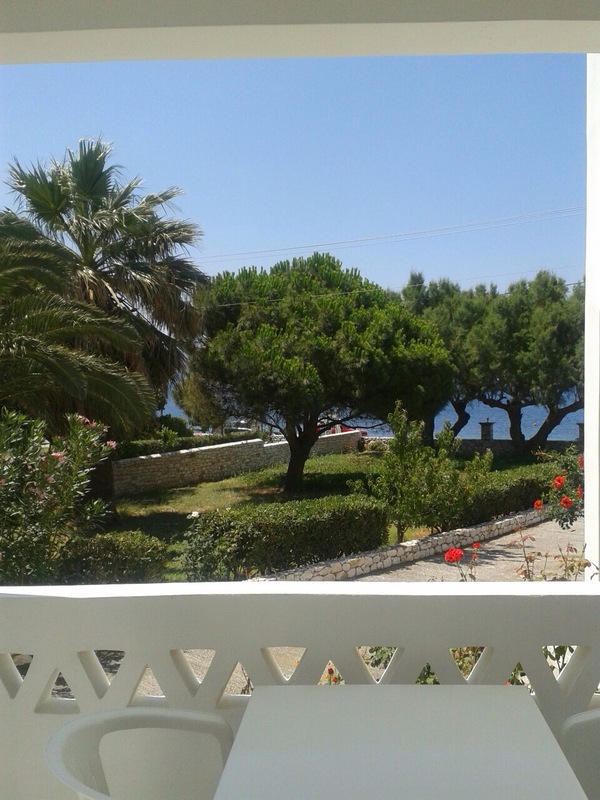 -25-26 July: religious festival of Agios Ermolaos in Molos. -26-27 July: religious festival of Agios Panteleimon in Marmaro and Trahi. -14-15 August: religious festival of Panagia in Panagia Megklou church. 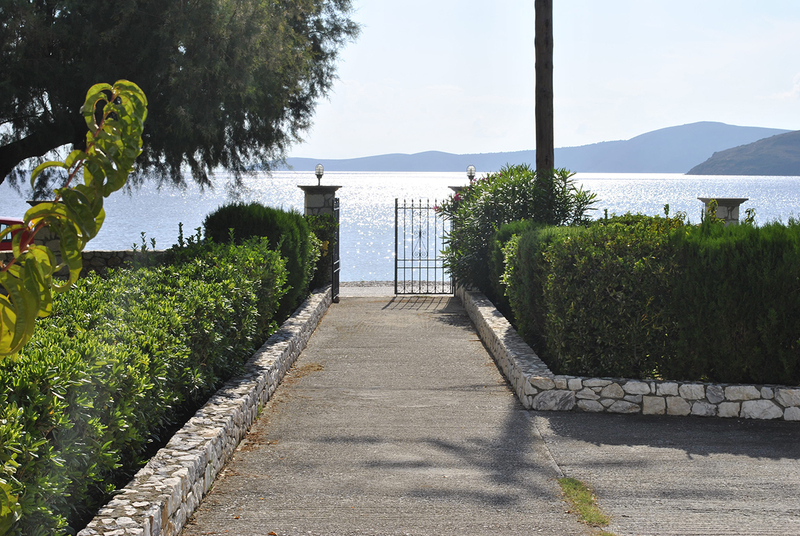 -16-17 August: religious festival of Agios Miron. 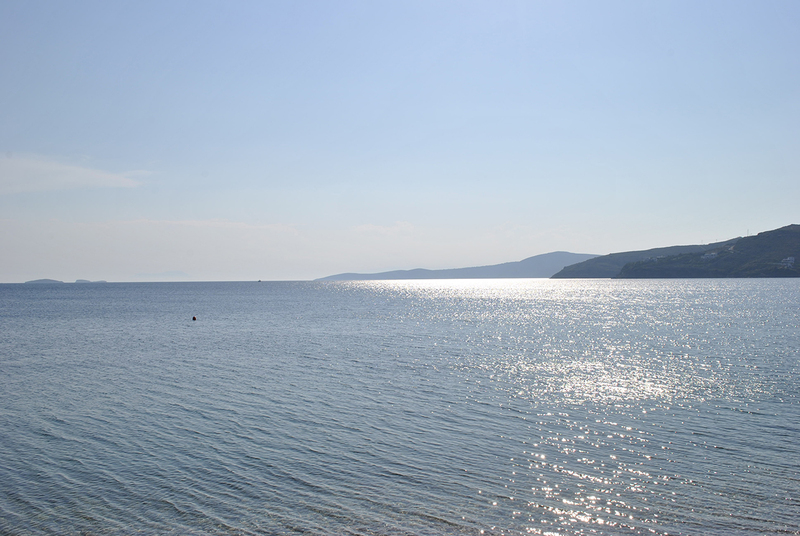 -28-29 August: religious festival of Agios Ioannis in Psarmos. 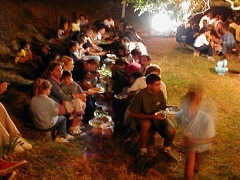 -1-2 September: religious festival of Agios Mamas in Kalamitsa.